Who loves skiing and snowboarding? Who would love to ski Japan and it’s amazing peaks of powder? Where Exactly is Hakuba Valley? Ski Japan! Now for the fun stuff! 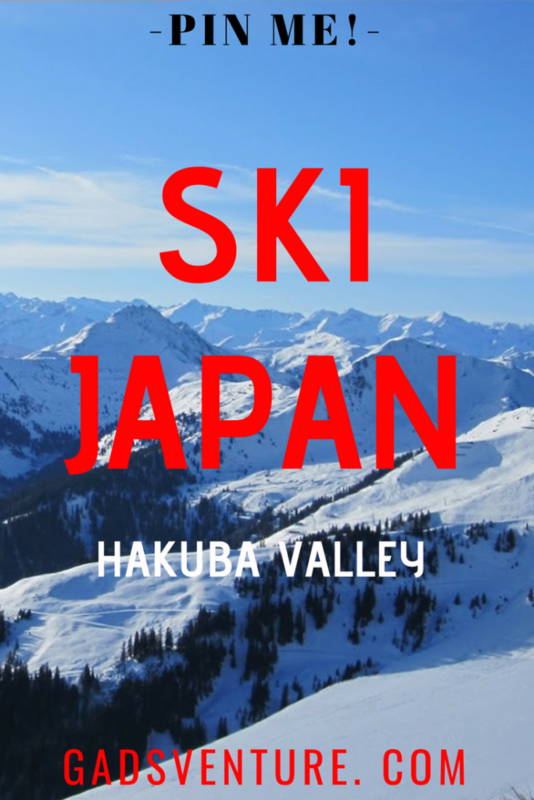 Hakuba Valley is the Best place to take your family on a ski holiday! Do yourself and your family a favour, make your next ski trip a ski Japan holiday! If you answered YES! then skiing in Japan’s majestic alps region is for you. The ski resorts and Hakuba township are only a short trip from TOKYO, making it a very easy and convenient destination to shred up the slopes of Hakuba valley. Check out other Japan Itineraries here. This post may contain affiliate links. Check out our Affiliate Disclosure for all the info. Japan is renowned for its powder-like snow conditions, uncrowded and virgin ski slopes and affordable prices for food and accommodation that suit anyone’s budget. 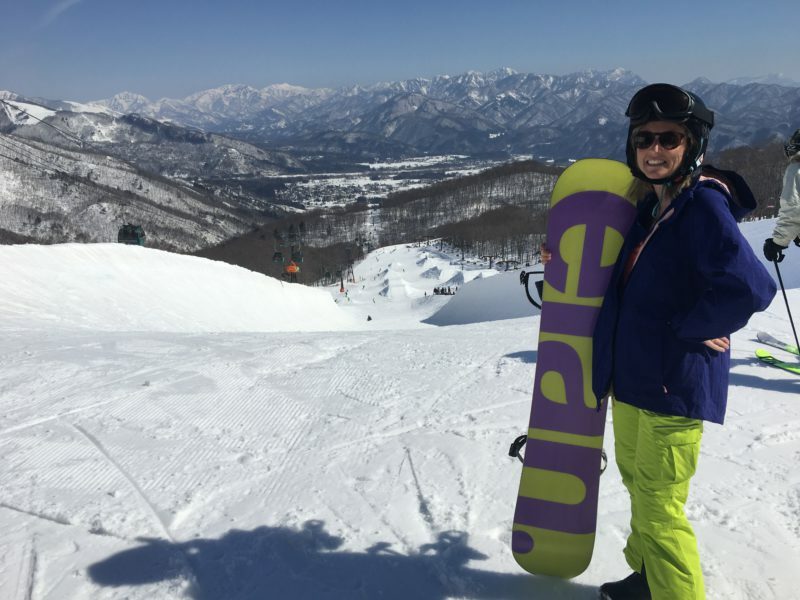 We originally heard about Hakuba valley ski area through some ski keen friends of ours, and they raved about it, so we thought why not give the slopes in Japan a go. Hakuba Valley is situated 270km North West of Tokyo and can be accessed via car, bus or train. The major town in this area is called Hakuba and is home to 9 ski resorts, 7 to the north of town and 2 to the south. To get there it is normally easier and quicker to take the train if coming from Tokyo. Check out your Hyperdia App for more train routes and timetables. Get on the JR Hokuriku shinkansen from Tokyo to Nagano (1hr 40min – 8000Yen) then catch the express bus from Nagano to Hakuba (60-90min 1800-2000Yen). 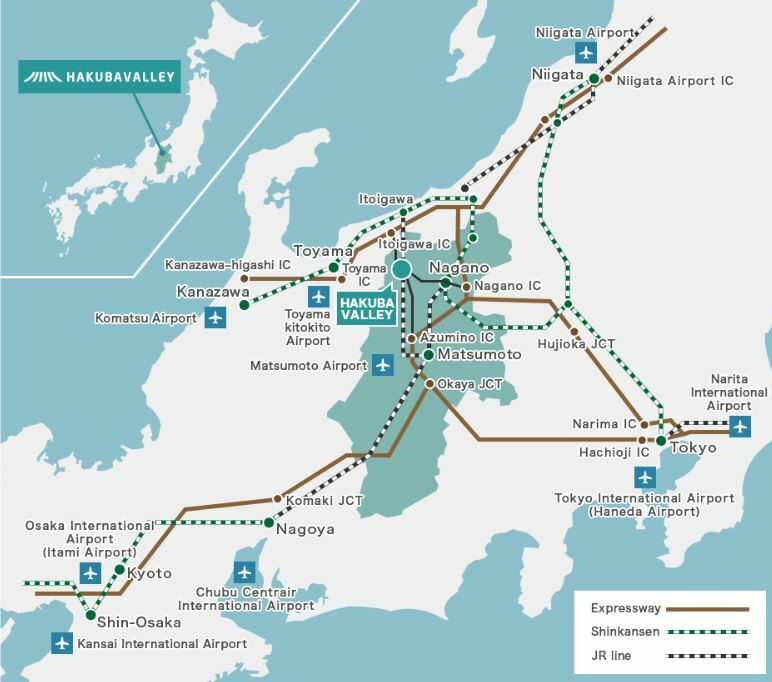 If you are coming directly from the Narita airport jump straight on the Narita Express Train which will take you to Tokyo city in 1 hour and from there transfer into the correct station to catch the right train heading for Hakuba. There are different routes depending on which airport you fly into, so you may have to follow a different path to get here, follow this link for further information regarding travel to Hakuba village. Hakuba access. There is a lot of choice for accommodation in the Hakuba valley, depending on your budget and group size will probably dictate where you will be staying. We were staying in Hakuba with 5 Adults, 2 teens, and 4 children, so we needed a lot of room to stretch and have enough beds for everyone. 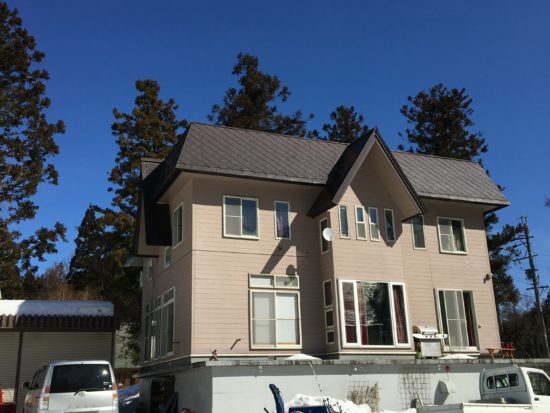 Our team opted for an Airbnb house that slept 12, so it had 5 bedrooms, 2 bathrooms, and 2 living areas, this was ample and it was situated only 10-minute walk from the lifts of Hakuba Goryu. We always use Airbnb when travelling, finding it more suitable for booking bigger groups and with inclusions such as a kitchen and laundry! Definitely what a travelling family needs! Read more here about why we love Airbnb so much. Have you joined Airbnb yet? It’s FREE! 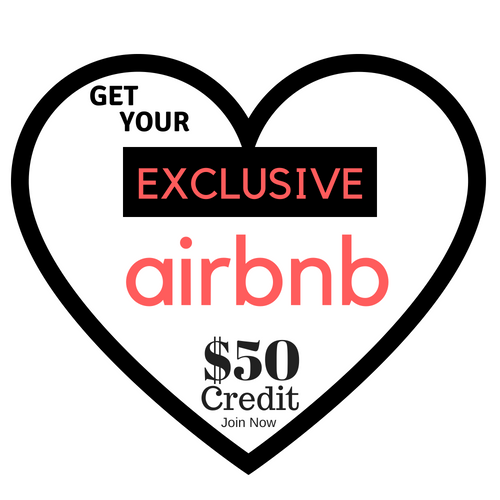 Click here for a $50 voucher to use on your first booking! Walk you say! with all my ski gear, that’s absurd! Sorry, there is also a great shuttle bus network connecting all the mountain resorts and we happened to have one almost at our doorstep. Wherever you stay you can be guaranteed you won’t be far from a bus stop or ski resort which will maximize your time on the slopes. 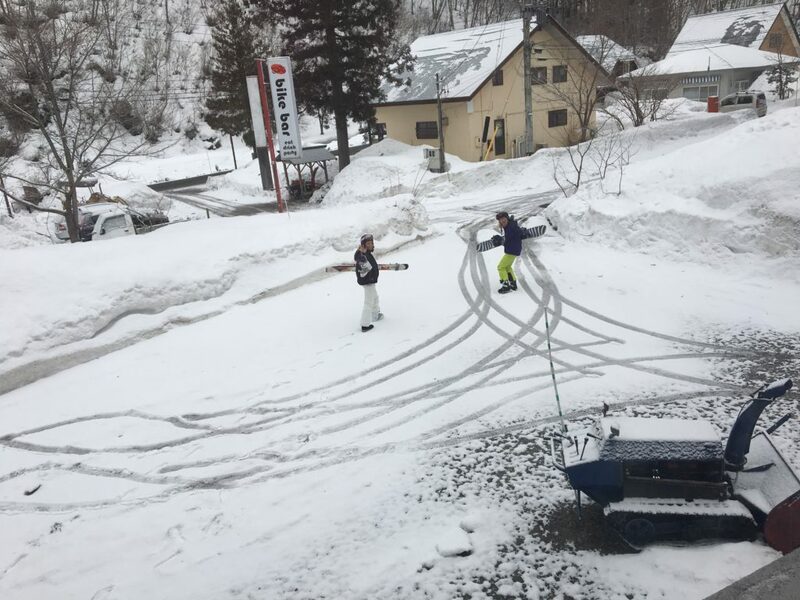 The best time to go skiing in Japan depends on the area you are visiting, but in general, around Hakuba valley, you get your best powder conditions between January to February, but this is also the busiest times on the slopes and probably the peak of accommodation prices in the area. Other great times to visit Hakuba is mid-February to the end of March when the prices are lower, crowds are fewer and there is still an excellent base of snow. The amazing thing about skiing in Japan is the lack of queue for lifts, it can be really busy but you don’t really need to queue for longer than 2 minutes when it’s busy, strange!! Must be the super Japanese efficiency at work! So you found your accommodation, you now know where all the ski resorts are located, you have stocked up on food and beer. Now it’s time to find some ski’s or snowboards so that you can have some awesome fun in the white mountains. You can find plenty of ski hire shops near the resorts, we were right near Hakuba Goryu snow resort. You can also hire gear inside the resort if that is easier, but generally, it is a little a bit pricier. We hired 2 snowboards, 2 sets of skis for the kids, 4 helmets and 4 pairs of boots for the entire stay which again usually saves you money. Now we have to carry all this gear back home! Lucky for us our host Ross had a car and helped us get organized when we arrived, so he took all our gear back to the house so we didn’t have to carry everything. You can’t get up the mountain without a lift pass, to get hold of these you need to go to the resorts lift pass areas and purchase your passes. Just buy them once you arrive at the snow. An adult is classed as over 13, Child is from 6 – 12 years old and 5 years and under ride free! 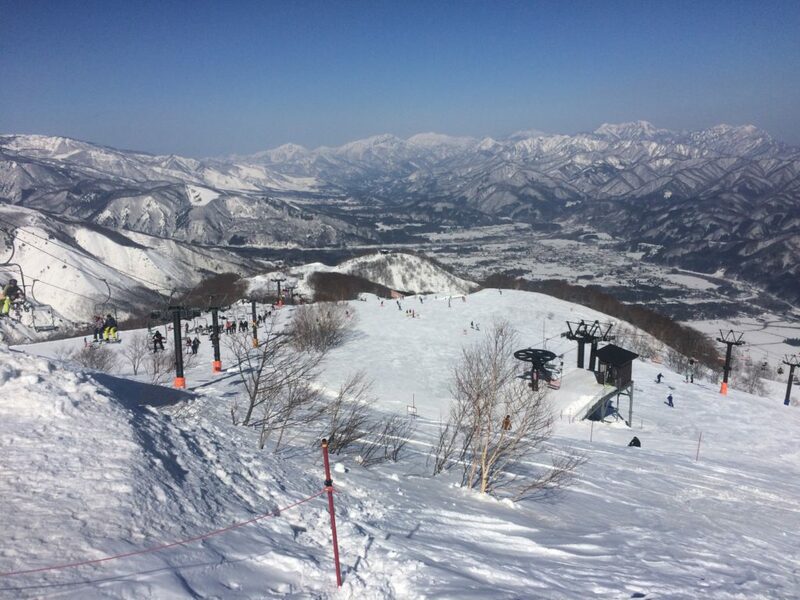 By far the best value for money on the mountains is the HAKUBA VALLEY TICKET this gives you access to all 9 of the ski resorts in the area and gives you free access to the shuttle buses that connect up all the ski resorts in the Hakuba valley district. Here is a diagram of the locations of all the ski resorts in the Hakuba Valley, I hope this helps you get your bearings a little. I was told by locals that the best resorts were these two, so I didn’t waste to much time exploring every ski field. Plus you know what it is like when you have a family, you can’t be gone all day like some of these lucky couples who just hang out all day without any parenting duties. Wake up at 6.30am in -4 degrees get dressed in ski gear, make sure I didn’t have too many layers on because once skiing you seem to get really hot! Boots on, and head to the shuttle bus stop, if I got there around 7-730am I would be straight up to the lifts that started running at 7 am. Once up at the resort I would climb the steps and enter my playground. I would then snowboard until about 9.30am and either catch a shuttle bus back if the timing was right or just walk down the hill to our guest house which took 10 minutes. I would then have a second breakfast and wifey (Kris) would hit the slopes for 2 hours until lunch. Once she gets back, then we would dress all the kids (mission) and head back up the slopes with them so they could attack the kid’s area at the base of the mountain. We would sometimes all catch the speedy gondola up to the top of the mountain for lunch and the view. The kids loved it. 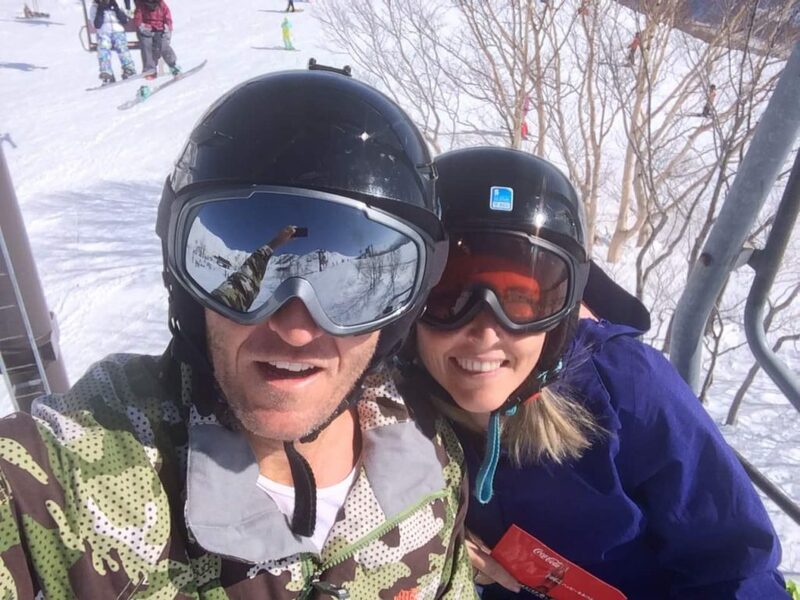 Then Kris and I would just keep taking turns skiing and babysitting the kids, she would have 2-3 runs then I would have 2-3 runs and so on until the day was done. Lifts close at 5 pm so it gave us heaps of time on the mountain, unlike New Zealand. Now that everyone was buggered we would all catch the last buses back to our cozy home and warm up. 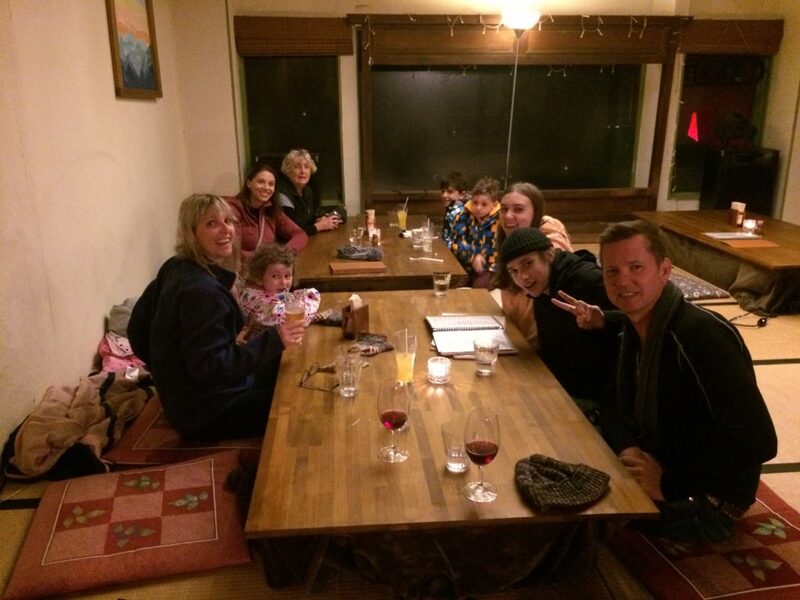 That was a typical day in Hakuba for us all, it was great. Hakuba Goryu was a really easy resort, fast and efficient meaning plenty of ski time, hardly any waiting in cues even on the weekend when everyone is not working. Hot Tip! If you want the mountains to yourself almost, ski only Mon – Fri! Both the ski resorts Hakuba Goryu and Hakuba 47 were linked, so if you wanted to get to Hakuba 47 runs you just jump straight onto the gondola that speeds you up to the top and you can traverse your way down black, red or green runs depending on your abilities. Hakuba 47 has the best snow park for tricksters, plenty of jumps, kickers, boxes, and rails to break your arms and legs on! Depending on your ability (Novice-Intermediate-Advanced) you could pick which jumps and obstacles suit you. Hot Tip! If you are novice don’t attack the advanced jumps! Just saying. Also at Hakuba 47 they had a giant half pipe for pros, which was great to watch, and there was a restaurant and bar nearby also. 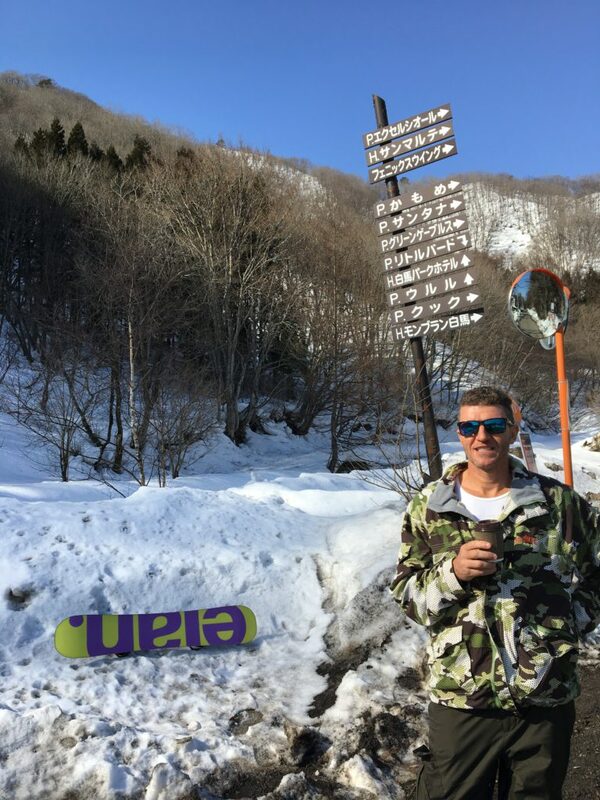 Hakuba 47 was fun and adventurous, it also has a giant green run that winds down the mountain, Kris found it a little difficult to navigate at times due to the narrowness of the track and the fact that in places if you went off, it was pretty steep and you would hit a tree. 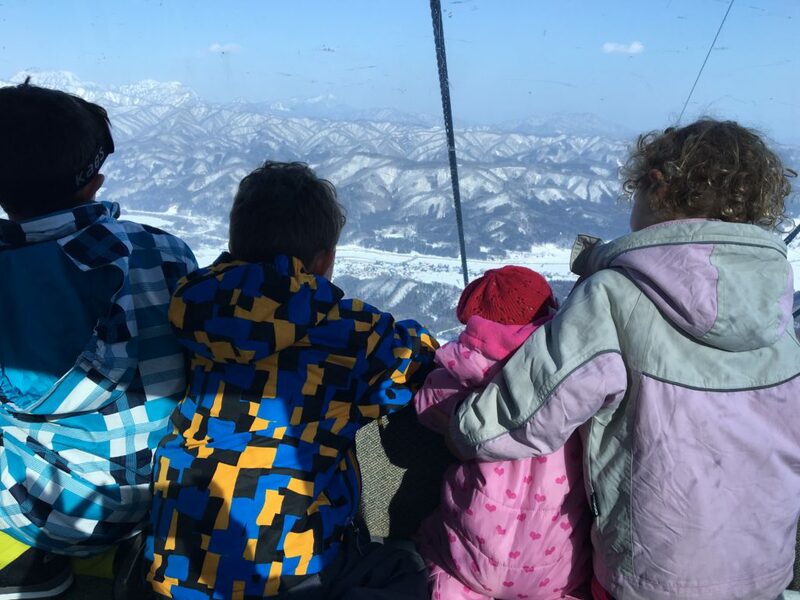 You could spend hours playing around there but we have children and Nana was babysitting, so once you hit the bottom you are at Hakuba 47 ski resort where you can catch the bus back to Hakuba Goyru. Hot Tip! Be warned, learn your timetable for the buses it can save you time and frustration especially if you have kids and babysitters waiting. They usually run every 45 minutes or so, but that can vary and there are long gaps over lunch. Nothing worse getting to the base missing the bus and waiting an hour for the bus, then sitting on a bus for 30 minutes and then another 10 minutes getting back to guest house. That’s almost 2 hours of lost ski time or babysitter getting frustrated with the time you have been away! I have skied in Australia, New Zealand, Chile, France, Germany and Austria and I found the runs not to be the most amazing runs in the world, that’s just me. You seem to get a little bored after several days of doing the same runs, and I like a little bit more difficult terrain and tracks that surprise you and challenge your skills, don’t get me wrong there is plenty here to challenge you. I’m a surfer so I like snow resembling waves, sections and little fun jumps all over the place. The snow conditions were great, but we never got the magical powder like they talk about, but that was due to the weather, when we were there it was hot for 2 days 17 degrees and rained for one whole day. But on the last 2 days, we had snow and I did experience some awesome dry powder runs up in the high parts of the mountain, it was pretty awesome. Hakuba Goyru and Hakuba 47 ski resorts are one of the best places I have been with our family, the kid snow park area was great, taboggans, snowmen, toys, and fun slides, the kids loved it and made our life easier. 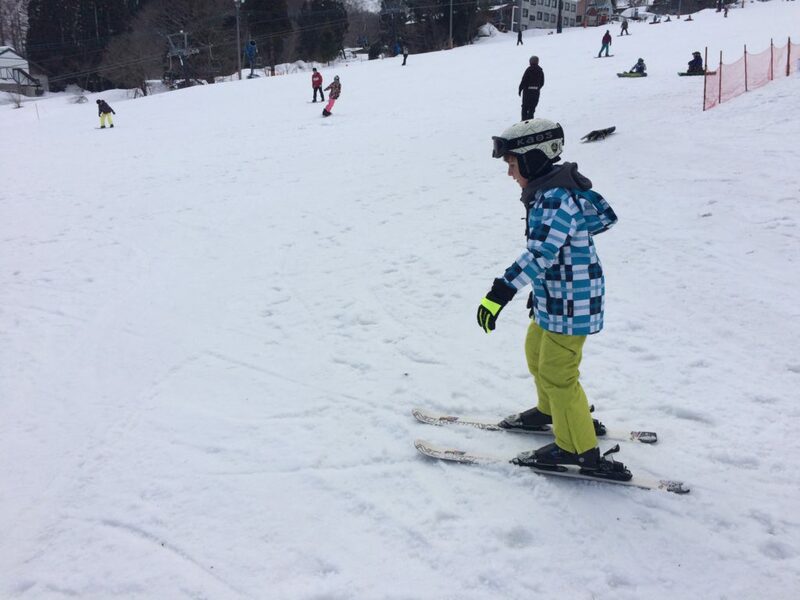 Our eldest son was 8 and we found it a little step for him to learn on comfortably, I had to stay with him and make sure he didn’t just aim straight down the mountain, so it would have been good if they had some areas that were flatter for total beginners under 10. We didn’t really party too hard while in the snow considering you would be pretty stuffed from boarding all day, but we did get out at night a few times to visit some restaurants. Most places are within walking distance from your accommodation. Our favorite place was Canada Tei for food and the famous Sake! This place was cozy and casual dining, a very cool and friendly place, the food was great and prices were reasonable. But the Sake was awesome! The owner really loves his Sake, so if you like Sake as well. he will love you and treat you to double shots which will leave you very tipsy indeed. The best night spot for us was right under or guest house, yes we had a bar under or accommodation called the Bike Bar! Due to the time of year, we went March he had it closed for the season but would open it only for special occasions and for the guests of the house. It was great, free pool tables, cheap drinks, my favourite the Blackhawk down! Music videos, motorbikes on display, great ambiance and some old pokie machines for the kids to play on. 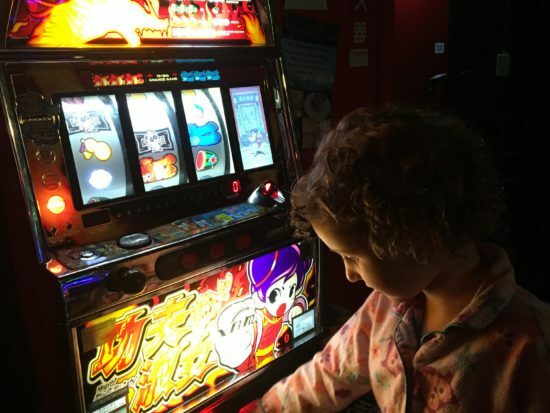 I now see why kids aren’t allowed to play the poker machines in Australia, they just become obsessed and addicted. We bought most of our groceries from the local supermarket for the house and in general ate lunch out at the ski resort restaurants which served really good food at decent prices. 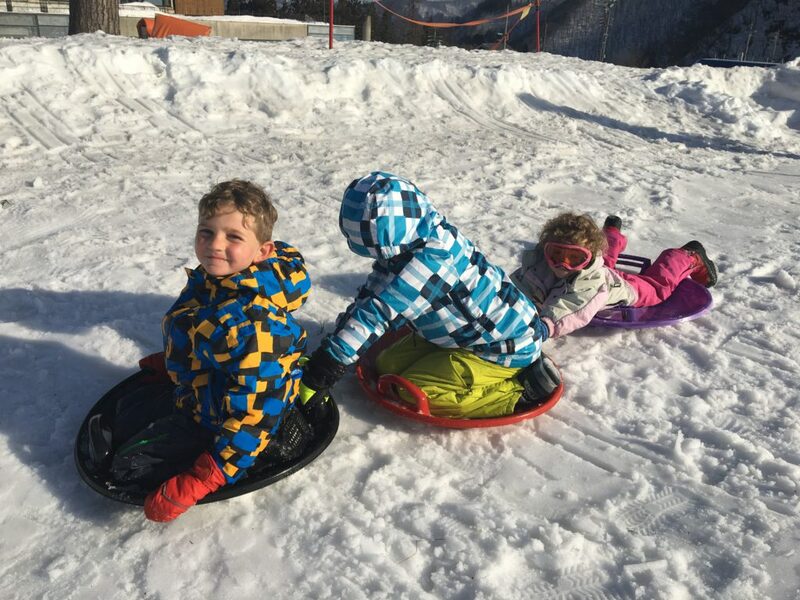 Hakuba is just a really pretty place, surrounded by the mountains and covered in snow throughout the ski season, your family will love it, you don’t even need to go to the ski resorts just hang around town and make snowmen or your own taboggan courses. (Watch out for any stormwater drains hidden under the snow!) Visit an onsen or go see the snow monkeys up the valley, you can even just purchase a gondola ticket to ride to the top and have a beer or a delicious meal without having to ski. Or if all that sounds too hard, just relax at home and enjoy the fact that you are not at work and you are in the Japanese Alps. Wow, I feel like I just visited the Japanese Alps! The photos are awesome. I’ve never been to Japan, I do actually have 2 cousins that are 1/2 Japanese though and have seen many pictures, so I know it is beautiful. I would love to go there sometime. I can’t even imagine going on a trip like that with all the children, that must have been kinda tricky getting the schedule set-up and keeping the timing for babysitting. But ya’ll look and sound as though you had an awesome time. Your children are very lucky to have memories like that from their childhood! Anyway, I guess I’m rambling. I loved your page. It was very engaging, very enjoyable! 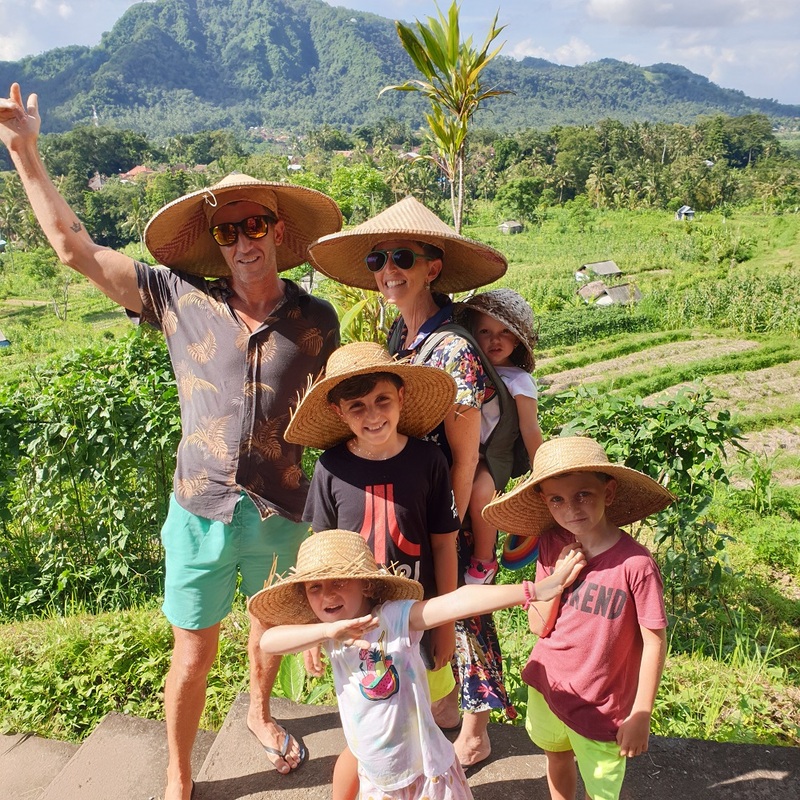 Thanks for sharing your fantastic family vacation! Hey Bonnie, Thanks so much for such wonderful feedback! It truly was a wonderful experience, I hope the children know just how lucky they are! Our big news is that our next trip is going to be more of a lifestyle change, a gap year with the children. 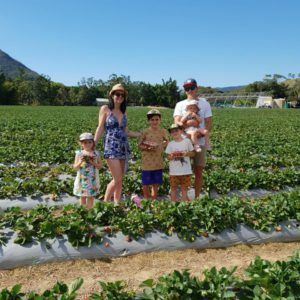 Stay tuned for more great tales like this, I hope we can inspire you to travel more with your children too.